Dressing for a job, interview, internship or networking event can be a difficult task, especially when one wants to remain fashionable. Many people have the misconception that their personal style has to go out the window. 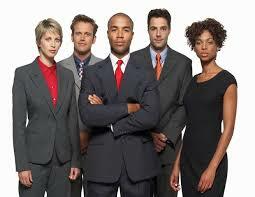 Gone are the days where dressing business professional means you have to look plain or boring. Dressing professional goes beyond any article of clothing. It is about feeling confident in what you wear and projecting a certain image to potential bosses and co-workers. There is a standard one has to reach when dressing for the business world. Many jobs require a certain dress code, so when building a professional wardrobe, it is best to begin with the basics. Follow the protocol in your office. Some businesses are more conservative than others so you may not have much wiggle room to spice it up. If jeans are allowed, then wear nice jeans (a darker wash is better than light), ones without holes or frays. It is important to have at least one black blazer and white button down in the closet. These are classic business wear items if all else fails. For both men and women the easiest and most widely accepted attire is a suit. It would be wise to invest in a variety of colors, preferably dark colors such as navy, black, burgundy, etc. Khaki would be seen as acceptable as well. Ladies should also invest in simple knee length pencil skirts or dresses appropriate for the office (Cocktail dresses or “Party” dresses are not considered appropriate in this setting). This way one won’t be limited to pants during the hotter months. Patterns and colors are where one can start adding a little more personality into their business wardrobe. To add some pop to any office setting, patterns such as plaids, florals, polka dots, etc. are always fun. Splashes of color are also something becoming more acceptable in the workplace. For example, an all black suit paired with a bold colored blouse or button down to break it up can make dressing business professional so much more aesthetically pleasing. Khaki, twill, and corduroy are good fabric choices for business. It is typically best to stay away from denim and heavy cotton materials unless you’re aiming for business casual. Try to avoid synthetic fabrics like rayon and polyester blends which lack quality and can wrinkle. Make sure clothes are clean, pressed, and wrinkle free. One doesn’t want to be perceived as unkempt. Accessorising should be kept simple but this doesn’t mean it can’t be fun. A wristwatch is the most common accessory in the business world as it is also considered handy. To change it up, you can add a broach, patterned ties, and other small items that sets your outfit apart from your co-workers. A safe choice for shoes is closed-toed pumps in a color that compliments your outfit. Classic black pumps are perfect because they come in handy after hours as well. One can wear them on a night out or with a pair of denim jeans as well. Any pieces you can make versatile are must haves. It is safe for men to have a pair of shined dress shoes free of any scuff marks. These are also versatile because one can wear them to many other events outside of the office. They are a staple in any man’s closet. As stated above, It is about feeling confident in what you wear. When you look good, you feel good and this should apply to the work world as well. Demonstrating that you care about your personal appearance communicates that you want to be at your job, interview, etc. Paying attention to the details of your appearance sends a message to others that you will also pay close attention to business details, and the needs of your customers and clients. So when hesitating to add a little more flare to your everyday work attire, remember that you don’t have to be basic, to be a boss. Previous ArticleHow are Plus-sized Models Viewed in Our Society?